Over the next several days, I'm going to be using my allocated "Balashon" time to better organize my sources. This should hopefully result in more interesting and robust posts. A belated congratulations to Omer for his solution of Game #5. He even put his own difficult challenge in the comments! When I first lived in Israel in the early 1990s, it wasn't that easy to make an international phone call. You had to often speak to an operator, and then you would get put on hold, with a recording in a number of different languages - Hebrew, Arabic, Russian, Amharic and English (if I remember correctly). The only word that I remember from the recording was the Arabic word for "thank you" - shukran. The name of the singer Shakira is also related, as it comes from the Arabic meaning grateful or thankful. 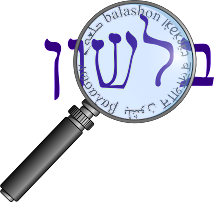 Continuing with the etymology of שכר, Ben Yehuda suggests that perhaps it was originally the shafel form of the Aramaic אגר or the Hebrew כרה. The root אגר means "to hire", and is familiar to us from the Mishnaic phrase לפום צערא אגרא - "according to the suffering is the reward." According to Klein, this is the root of the word אגרה agra - the fee for government services in Israel, and may also be the source of the word אגורה agora - a coin, now meaning one hundredth of a shekel. The root כרה means "to buy, trade", and is related to the Arabic kara - "he let for hire". One more root that may be connected is חכר, meaning "to lease". Klein writes that it is probably related to שכר. Knowing that shukran is related to שכר may help me (and others) with a common mixup that English speakers have when speaking Hebrew. In English, "rent" is one of those rare verbs that can be used in more than one direction - he rented the apartment to a tenant, he rented the car from the company. In Hebrew however, the verbs are clearly different לשכור is to "rent from", whereas להשכיר is to "rent to". Knowing that shukran meant to give thanks - i.e. to give reward - makes it easier for me to remember that the verb לשכור means to give reward, to give payment. I recently received a great gift (thanks!) - the unabridged Even-Shoshan dictionary, which includes etymologies. Flipping through it, I found something interesting. I noticed the entry for pargit פרגית - meaning "young / spring chicken", also rendered poussin, pullet or Cornish game hen. (In Israeli restaurants, it means dark meat from the thigh of the chicken - particularly boneless chunks.) It said it likely comes from the Greek pterix (pterygos) meaning wing. When I saw that, the first word that came into my head was "pterodactyl", the extinct flying reptile. An interesting association, as long as it's etymological, not culinary! from Fr. ptérodactyle (1821), from the Mod.L. genus name, from Gk. pteron "wing" (from PIE base *pet- "fly;") + daktylos "finger"
From Gk. helix (gen. helikos) "spiral" + pteron "wing"
The word pargit appears in Berachot 39a, where Rashi translates it as perdriz - the Old French word for partridge, and in fact, the source for the English word partridge as well. It also is found in Tosefta Bava Metzia 6:5, parallel to the word efroach אפרוח meaning "chick". I haven't been able to find any difference between the two terms - perhaps it's an issue of age. Jastrow tries to connect the two words, by saying that pargit derives from the verb פרג, meaning "to break through, sprout". The root פרח has the same meaning, from where he derives efroach. I assume here that Jastrow would include פרג and פרח together with a number of other roots beginning with פר that mean "to separate" or "to break out", such as פרץ, פרד, פרה, פרס and פרש. However, first of all, it is not agreed by all that the somewhat obscure root פרג means "to sprout". Klein, for example, offers "worsened"; Ben Yehuda has "to be quite changed." Secondly, as we've seen, Ben-Shoshan gave pargit a Greek etymology. He followed Ben-Yehuda, who disagreed with the majority of the researchers, including Loew, who said pargit had a Semitic origin. Whether or not pargit and efroach are related, they both share an additional meaning - "a young woman". Pargit has the sense of an innocent, naive young woman. Mega-coutured female characterized by stiletto heels and language to match. Protective coloration provided by blinding if precision-executed patterns on nails of fingers and toes. The slang term generally refers to Sefardic women, perhaps influenced by the North African Jewish name Frecha, which derives from the Arabic word farcha, meaning "joy". English too has the term "chick" meaning "young woman", and in British slang "bird" as well. I wonder what causes these associations? "Your gates of precious stones (avnei ekdach)"
But if you're familiar with modern Hebrew, you would know that ekdach means "pistol, revolver". So what's the connection? Literally probably meaning 'flashing or sparkling stone' and derived from קדח (= to kindle). Compare Arabic qaddahah (= fire steel, fire iron). The root קדח also means "to bore, to drill", and Klein feels that the meaning "to kindle" originally meant "to make fire by rubbing". As far as ekdach meaning "revolver", this was a coinage of Ben Yehuda. In his dictionary, he says it means a weapon which shoots (fires) using firepower, which he derived from the root קדח - "to kindle, to burn". Based on this, Klein translates Ben-Yehuda's intention as "firearm". Then he points out that many European languages have a word for a gun "in which a flint fixed in the hammer produces a spark that ignites the charge" - a flintlock in English. He therefore goes back to the stone ekdach, which based on Arabic, he connects to "flint". He points out that even if the actual stone referred to in Yeshayahu is identified, the word isn't commonly used, so there shouldn't be a problem appropriating the old word for a new meaning. Could there be any connection between the word "Sisma" (a password) and the phrase, "open sesame?" Should the word "Sisma" be spelled with an Aleph or a Heh? What language did the word Sisma come from? The word appears here with an alef at the end. I don't know when the word began to be used again in Hebrew - Ben Yehuda makes no mention of it in his dictionary, most likely because he viewed it as being a foreign (Greek) word. Whoever did reintroduce this word in to Hebrew, besides having a real knack for finding obscure words, chose to spell it with a heh at the end: סיסמה, and that is the spelling you will find in current Hebrew dictionaries. In modern Hebrew it also carries the meaning of "slogan, motto", in addition to the older sense of "signal, password". Greek syssemon (=signal), formed from Greek syn (=with, together with) and sema (=sign). He points out that is related to the word siman סימן, also meaning "sign, signal" and deriving from Greek sema. Rather, the pronunciation was likely influenced by a foreign language. Perhaps it came from the European languages, which as we noted derived from Greek (who did not have a "sh" sound, e.g. Shmuel -> Samuel). But I think it is more likely that modern Hebrew was influenced by the Arabic rendition of the word: simsim. As we've seen before, the Hebrew shin becomes "s" in Arabic (shalom -> salam). What is the meaning of the phrase? There are a number of theories as to why simsim would have been the word used as the charm to open the gate. Perhaps the most interesting theory to me was presented by regular Balashon commenter Moshe M, who wrote to me that in addition to sesame, simsim can mean in Arabic "gate" (although it's a rare literary word). He heard this from Prof. Jonas C. Greenfield. Therefore the phrase meant "Open O Gate". (Ali Baba's own brother did not understand this apparently, and when he couldn't remember simsim, he tried guessing other foods, trying "Open barley", "Open wheat", and "Open chick-pea"). וְשַׂמְתִּי כַּדְכֹד שִׁמְשֹׁתַיִךְ, וּשְׁעָרַיִךְ לְאַבְנֵי אֶקְדָּח; וְכָל-גְּבוּלֵךְ, לְאַבְנֵי-חֵפֶץ. The whole encircling wall of gems"
The question is the translation of the word shimshotayich שמשותיך, offered by the JPS as "battlements". This seems to be the opinion of Rashi, quoting Midrash Tehilim, based on Tehilim 84:12. However, Radak, and Menachem as quoted by Rashi, say that shimsha שמשה here means "a solid, translucent piece, placed in the window, that lets the sun in". This is its meaning in modern Hebrew as well - "windowpane". However, Greenfield writes that shimsha here means "gates" as well, which is parallel to shaar שער "gate", found in the second section of the verse. I'll conclude with the observations about sesame by comedian Mitch Hedberg. (Warning: Contains mild language). Treppenwitz has a hilarious post about the Israeli fear of being a freier (sucker, chump), and how he got even at the supermarket. What is the origin of this slang term? There are a few theories. Rosenthal (entry פראייר) says it comes from the German freier, meaning "suitor, bachelor". He says that the word went from German to Yiddish, where it came to be viewed negatively, "a person lacking social and financial confidence", and eventually came to mean "a person easy to deceive, take advantage of." As with much modern Hebrew slang, `freier` is derived from Yiddish where it originally meant a "suitor" (it`s still used that way in Alsatian Yiddish) but came to mean the "customer of a prostitute." and eventually just a `sucker`. It is possible that the word was chosen because of the prominent German tone of the word, in order to suggest the local stereotype that the Israeli Jews that originated from Germany were too [accepting] of authority, [sticking] to firm and formal rules [at the expense] of flexibility, [quick-wittedness] and improvisation. It's from Russian criminal slang, from Yiddish. The Jewish mafias in Odessa called non-criminals freiers. It's Yiddish for "free-ones". From the Jewish gangs it made its way into general Russian culture. It's mentioned in The Gulag Archipelago, where it is noted that the criminals in the gulag called the political prisoners freiers. But I was told that it's use is much wider than that; i.e. not just for non-criminal prisoners, but for all non-criminal classes in society. We're in the shmitta (sabbatical) year, so let's talk about a word related to it. According to the Torah, all debts are canceled in the shmitta year. However, Hillel the Elder made an enactment that would allow loans to be collected. This would help both the rich (who would get their loans repaid) and the poor (who would be more likely to have money lent to them). The document publicizing this enactment is called a prosbul (or prozbul) - פרוזבול (also occasionally פרוסבול). "What is (the meaning of ) prosbul? R. Hisda says: Pros (an enactment of) buli and buti. Buli means the rich, as it is written, 'And I will break the pride of your power' (Vayikra 26:19). And R. Joseph explained: These are the bula'ot (city councils) in Judah. Buti means the poor, as it is written, 'You shalt surely lend him sufficient [ha'avet העבט is similar to buti בוטי] ' (Devarim 15:8). Raba asked a certain foreigner [who spoke Greek, Soncino suggests "linguist"] 'What is the meaning of prosbul?' He replied: 'The pursa (enactment) of the matter.'" So we see here that while the Rabbis felt it was important to learn moral lessons by drashot that found Hebrew words in foreign terms, they also knew when to ask foreign linguists what the words actually meant. Probably shortened from pros boule bouleuton ( = before the assembly of the councilors), from pros (= toward, to, against, before, in presence of), dative of boule (= counsel, deliberation, assembly) and general plural of bouleutes (= councilor), from bouleuein ( = to take counsel), from boule. The boule mentioned here is the same as in the gemara (although clearly the overall etymology is different.) The lower house of the modern Greek legislature is known as the Boule. Steinsaltz (and others) also offer the Greek word prosbole, meaning the delivery, transfer in a sale.